Chanticleer is probably my most favorite public garden ever. That’s saying a lot coming from me. We are lucky to live so close to the “Garden Capital of the World” aka Philadelphia so we can enjoy gems like this. It’s a bit farther of a drive, about an hour and twenty minutes for us from Dover, but oh so worth it. 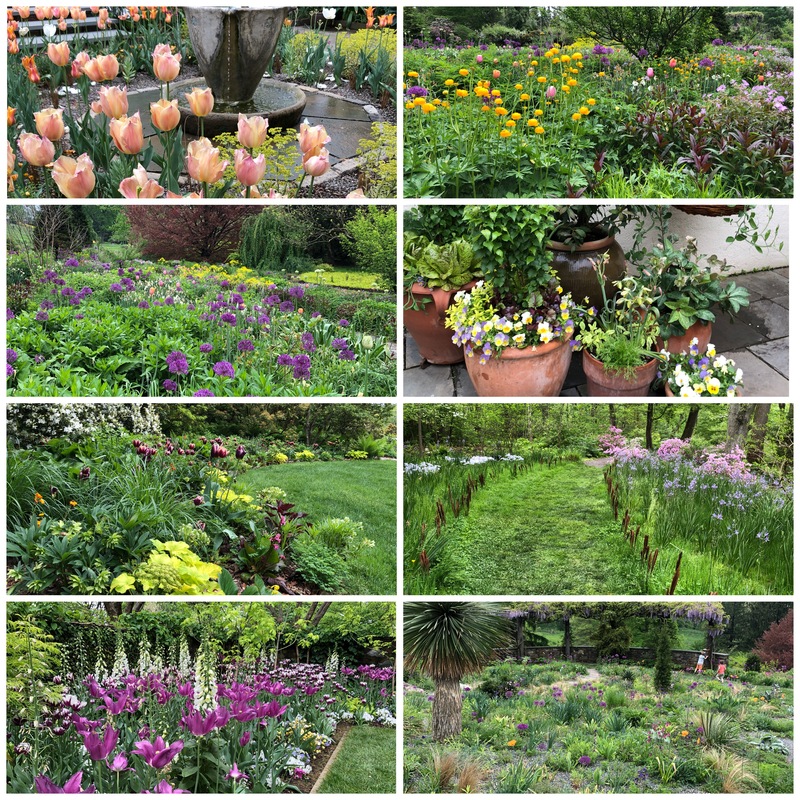 We visited for Mother’s Day weekend, so we expected it to be a bit more crowded but somehow we still had so many little nooks in the garden to ourselves. 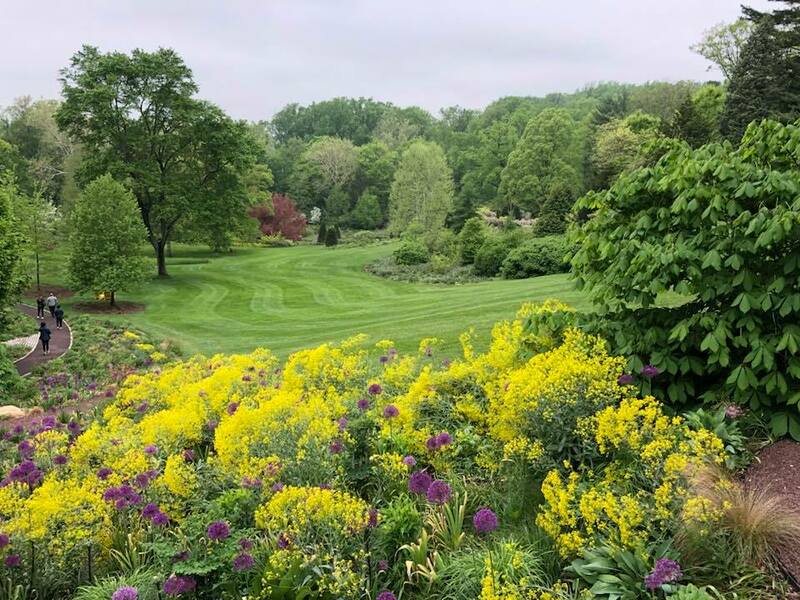 If you love Longwood Gardens, you can think of Chanticleer as it’s equally perfect, yet more artistic cousin. Everything is perfectly manicured but in a more abstract way. There are so many well thought out touches everywhere you look from the design in a planter to handmade art pieces and interesting pathways that beg you to follow them. The vast majority of the grounds are super stroller and wheelchair friendly, albeit a little hillier than we are used to in central Delaware so you’ll get more of a workout pushing there. 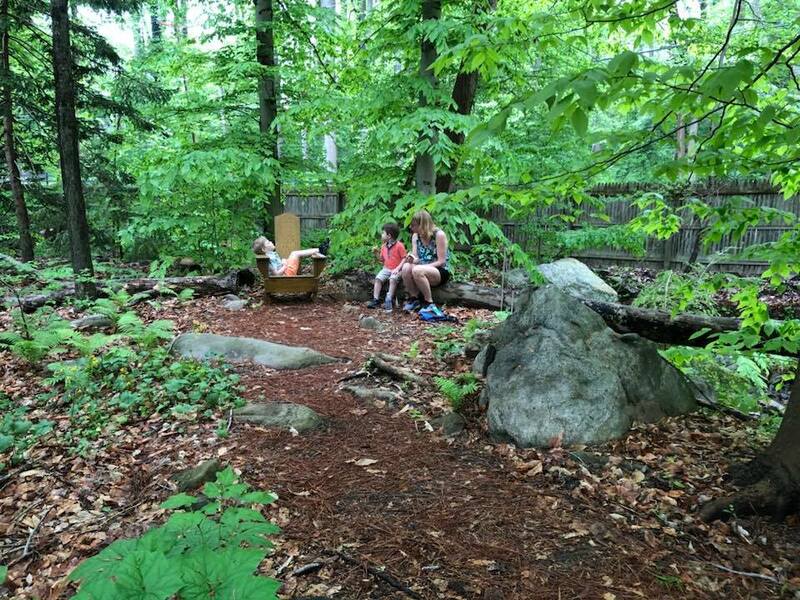 Not to worry though, there are tons of seating areas that are positioned perfectly for what the horticulturalists want you to stop and look at a little longer. The longer you look the more details you see. In addition to the chairs all over the place, there are several picnic areas as well so make sure you take advantage and pack a lunch. 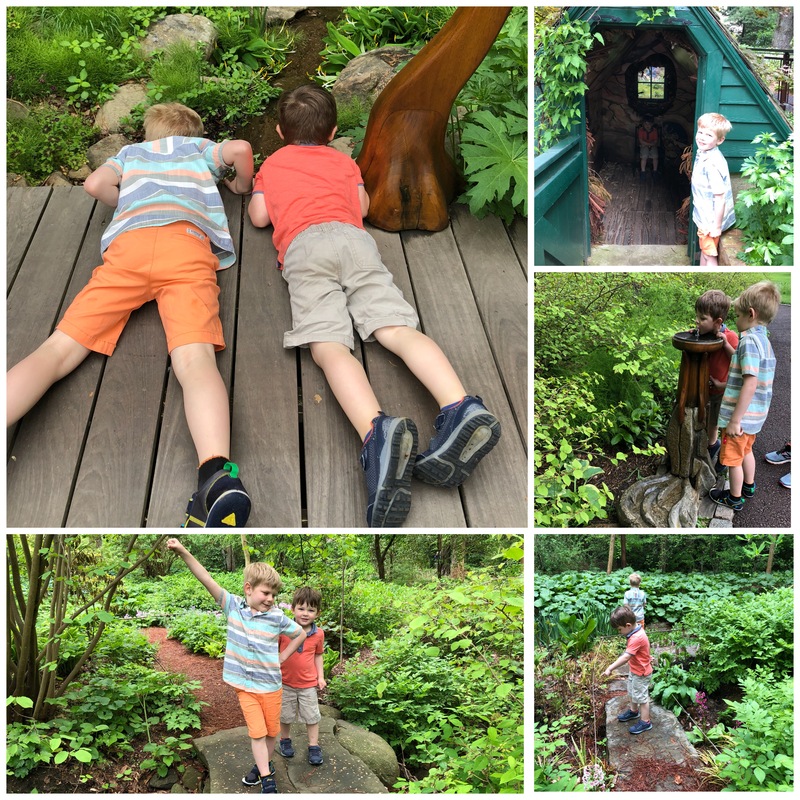 The boys loved finding a hidden nook in the woods next to a creek for their snack break. We walked the garden for about 3 hours, and my pregnant body was aching by the end so I know their little legs were tired but they were so busy that they hardly complained. Unless you spend the whole day, there’s no way you can possible see everything in one visit. It’s only $10 for adults and kids 12 and under are free to get in so a repeat visit is super affordable, particularly when you compare to Longwood pricing. Spring is definitely their big show with tons of bulbs, ephemerals and azaleas simultaneously blooming but no mater what time of year you go, there will always be something happening. There are adorable little pump houses, a koi pond, ruins, a vegetable garden, and so much more to discover on this adventure. This is one to add to your bucket list of must see places!